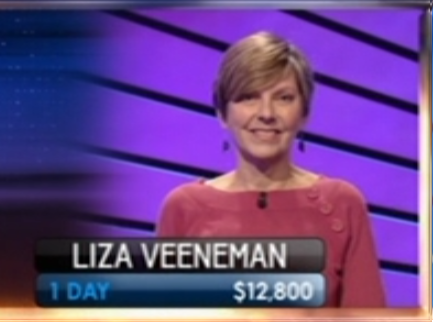 Andy here with the Monday recap; sadly, one of my favourite champions of 2012 on Friday fell to a Final Jeopardy!, but Liza Veeneman is the returning champion today. 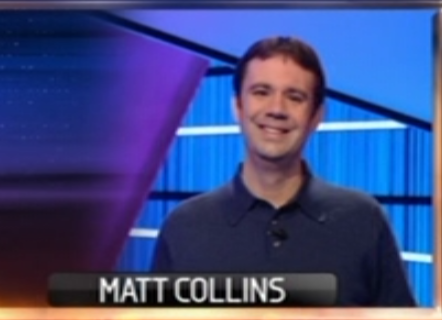 Her challengers: Matt Collins and Blythe Rodgers. I think I’ve been spoiled by getting A.J. vs Laura as my previous game to recap! Liza played this game as if she was incredibly bored! I would have killed to have AJ or Laura in this game, for sure! His bet: $800. His clue: From an EF-0 to an EF-5, the enhanced Fujita scale is used to grade the intensity of these weather events. 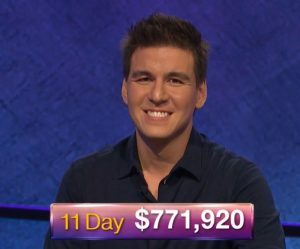 The second question on this board (as well as GEOMETRY $200) which was very similar to a question I’ve asked in the past two weeks at my trivia quizzes, Matt got it quickly in order to bring his score to $4,000. Exhibit #378 in the “Maybe Alex needs to retire soon?”: under “A”-LIST LITERARY CHARACTERS $1000: He’s the title character in “The Return Of The King” – Alex originally accepted Liza’s response, and of course, gave the answer away so that no rebound was possible! He bet $2,000 this time. His clue: Peruse the appeal that successfully fought the $100 fine this Tennessee high school teacher got in 1925 for teaching evolution. Another correct response brought him to $11,400. It was Blythe who found the final Daily Double, under NEIGHBORS OF NIGER $1200. It was a video category – I probably would have gone for a True Daily Double here, just on my knowledge of African geography. Blythe only wagered $3,000 though. Her clue: It underwent a change in government in 2011. Her correct response brought her to $13,200. Let’s take a time-out for a second here. You’ve been given the same map on the first two clues. Clue 3 is a video Daily Double, so it stands to reason you’ll see the same map on the third clue. You’ve demonstrated knowledge on the first two clues. There are a rather small number of possible responses here. If there was any question that is just inviting a very large Daily Double wager, it’s this one. $3,000 really just doesn’t cut it here. Back to the game. 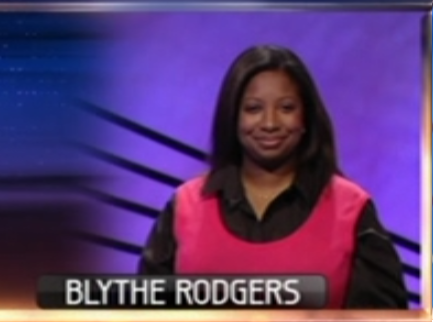 Blythe, knowing that Burkina Faso was Upper Volta later in the category, validated that she really should have bet a ton more on that Daily Double. Blythe will be returning tomorrow as champion! I thought it was a very difficult Final, myself. What did everyone else think? 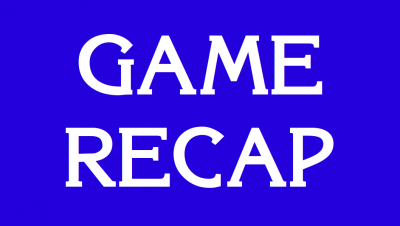 I’ll be back tomorrow with the next recap. See you then!